Today Sauce Labs announced general availability for the XCUITest automation framework on our cloud-based mobile testing platform, the Sauce Labs Real Device Cloud (RDC). XCUITest is the automation framework that ships with Apple’s Xcode. The XCTest framework lets iOS app developers create and run unit tests, performance tests, and UI tests for Xcode projects. Sauce Labs supports other test automation frameworks such as Appium and Espresso. Adding XCUITest ensures that developers and testers using RDC have access to the tools of choice for their test automation needs. WHY IS XCUITEST IMPORTANT FOR MOBILE APP TESTING? Having the right test automation framework for functional testing is just as important as having the right mix of supported iOS devices. XCUITest is the framework of choice for many Xcode developers. Automation teams need to ensure that continuous test automation is part of their overall strategy when adding a new device such as the iPhone X, or testing older devices like the iPhone 5s. This is important for any team implementing continuous testing within their application pipeline. Supporting XCUITest is a must for any organization that tests multiple versions of their app on different iOS versions. 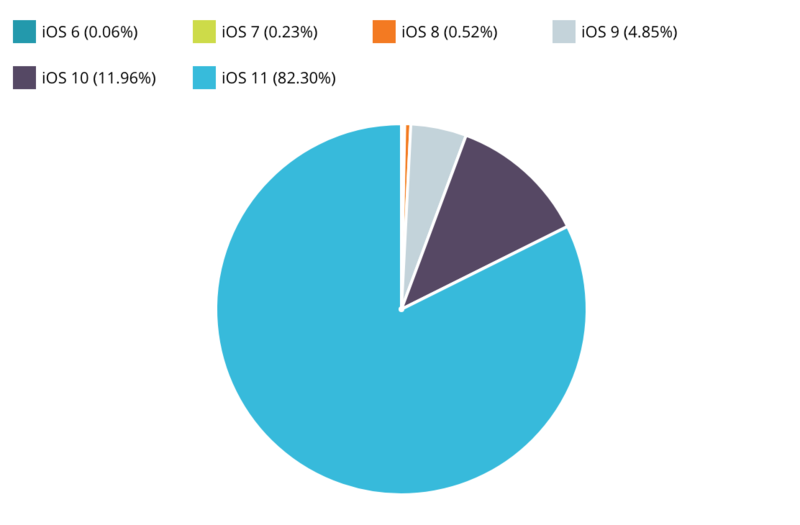 Current market share data from Apteligent Data shows that iOS 11 has 82.3% market share and 11.96% for iOS 10. This means that teams will need to execute tests in parallel for multiple iOS versions and Apple devices. Sauce Labs supports parallel execution with XCUITest in our Real Device Cloud, ensuring that you can gain the benefits of test automation for speed, scale and continuous delivery. XCUITest is immediately available to all our customers, on both private and public clouds. To access the new capability, please contact your Customer Success Manager or support@saucelabs.com, or sign up for a Sauce Labs Real Device Cloud free trial.